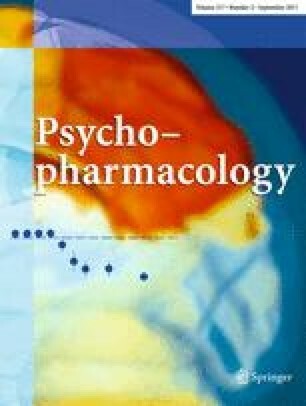 Nicotinic acetylcholine receptor (nAChR) agonists, partial agonists, and antagonists have antidepressant-like effects in rodents and reduce symptoms of depression in humans. The study determined whether the antidepressant-like effect of the nAChR β2* partial agonist sazetidine-A (sazetidine) in the forced swim test was due to activation or desensitization of β2* nAChRs. The study also determined if sazetidine’s behavioral responses in the forced swim test corresponded to β2* nAChRs receptor occupancy and drug bioavailability. Acute antidepressant-like effects in the forced swim test were seen with sazetidine and the full β2* agonist 5-I-A8350 (BALB/cJ mice) and the less selective β2* partial agonist varenicline in C57BL/6J but not BALB/cJ mice. The role of β2* nAChRs was confirmed by results showing: (1) reversal of sazetidine’s antidepressant-like effects in the forced swim test by nAChR antagonists mecamylamine and dihydro-β-erythroidine; (2) absence of sazetidine’s effect in mice lacking the β2 subunit of the nAChR; and (3) a high correspondence between behaviorally active doses of sazetidine and β2* receptor occupancy. β2* receptor occupancy following acute sazetidine, varenicline, and 5-I-A8350 lasted beyond the duration of action in the forced swim test. Sazetidine’s long lasting receptor occupancy did not diminish behavioral efficacy in the forced swim test following repeated dosing. Results demonstrate that activation of a small population of β2* nAChRs (10–40%) is sufficient to elicit sazetidine’s antidepressant-like actions without producing tolerance and suggest that ligands that activate β2* nAChRs would be promising targets for the development of a new class of antidepressant. Portions of this work were supported by MH085193 to APK. MRP was supported by MH077681. There is no actual or potential conflict of interest in relation to this article.